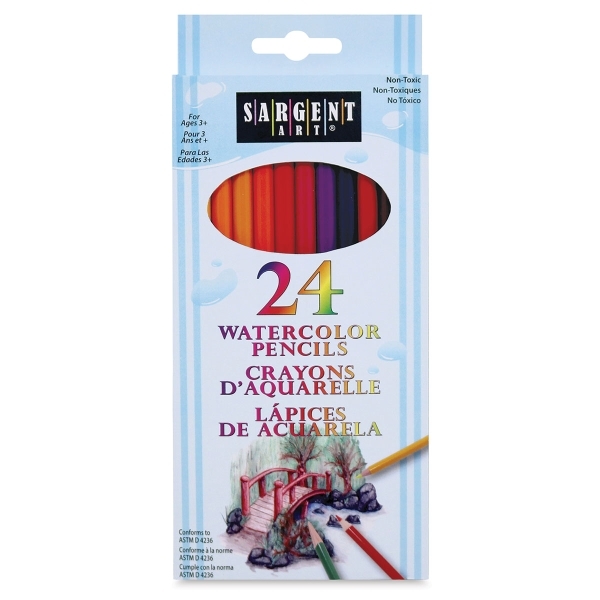 These exceptional watercolor pencils are priced for the beginner, with the high quality that professionals look for. They can be used to create a variety of special effects with water. Constructed from the finest pigment for consistent coverage. Includes colors in the set of 12, plus Peach, Red-Orange, Maroon, Red-Violet, Blue-Violet, Sapphire Blue, Evergreen, Blue-Gray, Gray, Aquamarine, Light Orange, and Yellow-Orange.